With News+, Apple has given access to over 300 magazines, leading newspapers and digital publishers via its news service. Three years after the launch of its news service, Apple is now adding magazines to the News app. 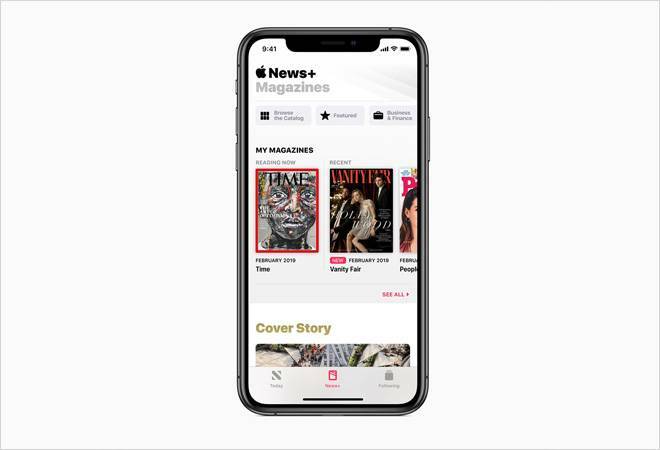 Apple News+ will give access to over 300 popular magazines, leading newspapers and digital publishers. It features designed layouts, animated covers, vivid photography and bold typography optimised for iPhone, iPad and Mac. Available in the US and Canada to start with, Apple plans to bring it in Australia, and Europe (starting with the UK) later this year. Apple News+ will be available for $9.99 per month in the US and $12.99 a month in Canada. Users will be able to sign up for a one-month free trial, and the plan will automatically renew after the trial ends. This paid subscription service will not just be restricted to one user but up to six family members can share one Apple News+ subscription through Family Sharing. Apple News+ will be available with the iOS 12.2 or macOS 10.14.4. Apple has always focused on privacy and it continues to be the focus with Apple News+ as well. Apple recommends the best articles without compromising on privacy. Apple downloads groups of articles from the servers and uses on-device intelligence to make recommendations. This means Apple doesn't know what a consumer is reading. In addition to that, Apple does not allow advertisers to track consumers' interest. What one reads on Apple News will not be followed across the web. "We think the breadth and quality of publications within Apple News+ will encourage more people to discover stories and titles they may never have come across before," she added. Apple News+ subscribers will be able to access current and past issues and individual articles from magazines such as The Atlantic, Better Homes & Gardens, Bon Appetit, Conde Nast Traveler, ELLE, Entertainment Weekly, ESPN The Magazine, Esquire, Food & Wine, Good Housekeeping, GQ, Health, InStyle, Martha Stewart Living, National Geographic, New York Magazine, The New Yorker, O, The Oprah Magazine, Parents, People, Real Simple, Rolling Stone, Runner's World, Sports Illustrated, TIME, Travel + Leisure, Vanity Fair, Vogue, WIRED and Woman's Day.